Owing to our rich experience in this domain, we are capable of offering precision designed array of Oil Expeller Machine. Based on advanced techniques and technologies, these ensure modern oil milling & maximum percentage of extraction from different varieties of oil seeds. Further, our core competence enables us in offering the range in varied specifications according to the regional needs demands of the oil miller. 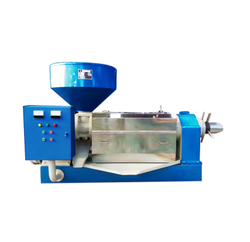 Looking for Oil Expeller Machine ?